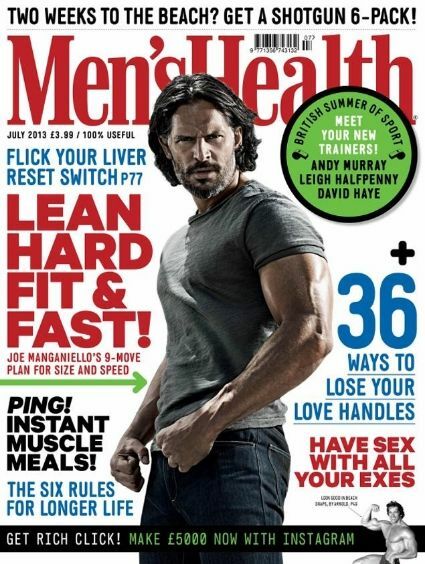 Joe Manganiello (the werewolf from True Blood) is gracing the cover of Men's Health UK this month. In the interview, he talks about how he feels better now than he did when he was a kid. "I'm not 18 anymore," Manganiello admitted. "But you won't hear me saying that, because me at 36 would destroy me as a teenager. In my mid-30s I'm making bigger gains than I've ever made in my life." Manganiello also dished about starring alongside Arnold Schwarzenegger in the upcoming thriller "Ten." "We had a photo shoot for the movie poster. I was wearing a sleeveless top, crossing my arms and flexing," Manganiello explained. "Arnold came in and said 'I see you're flexing your biceps. 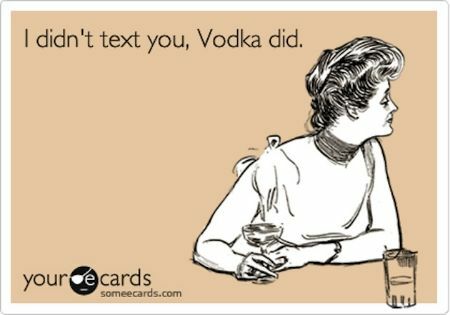 Don't do that. Keep it loose and [with crossed arms] put the other hand back to push [the muscle forward] - you'll get an extra three inches." "you'll get an extra three inches." 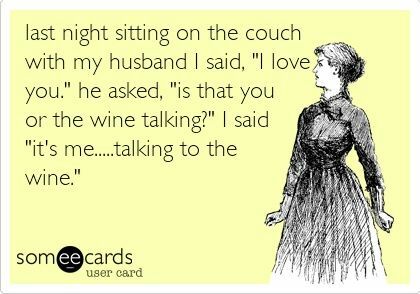 Ughhhh....too many possible snarky responses for that one. Season 6 of True Blood premieres on Sunday June 16th on HBO. 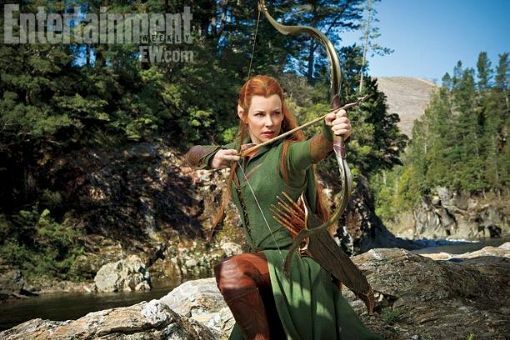 Entertainment Weekly recently released one of the first images of Evangeline Lilly as the new elf, Tauriel, in the upcoming two Hobbit sequels. “She’s a Sylvan Elf, which means she’s of a much lower order than the elves we all became acquainted with in The Lord of the Rings. She doesn’t hold the same kind of status that Arwen or Galadriel or Elrond or Legolas do — she’s much more lowly. She sort of goes against the social order of the elves a little bit. She will definitely have a love story. I can’t give away too much about it. It’s not a huge focus but it is there and it is important and it does drive Tauriel and her story and her actions. Tauriel’s relationship with Legolas is significant. They’ve known each other since they were children, and Legolas’ dad, [Elven king] Thranduil, has a soft spot for Tauriel and sees something very special in her. So if you grow up side by side, and your dad has a very special spot in his heart for this young woman who’s a fantastic warrior, I think it’s hard not to notice her. 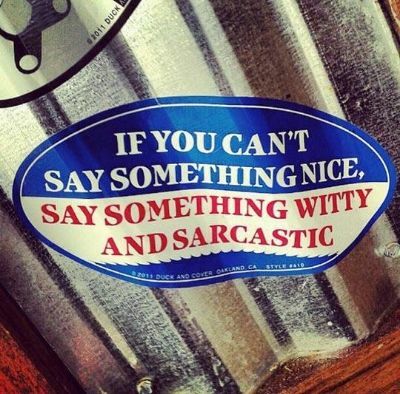 That’s probably as much as I can say." 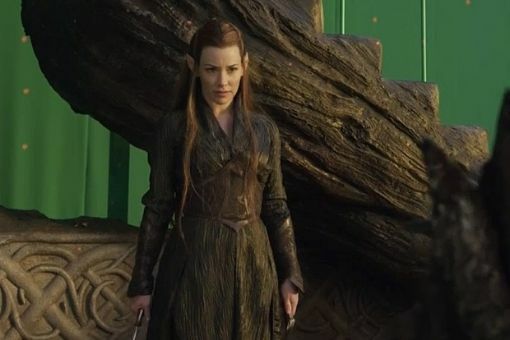 Evangeline Lilly is playing an entirely new character (ie. 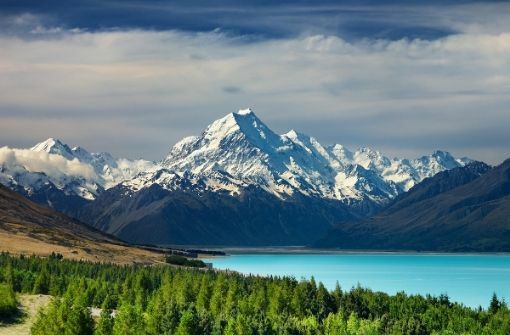 not in the book) in the upcoming Hobbit sequels, so it should come as no surprise to find out that the former Lost actress scores a place on our list. 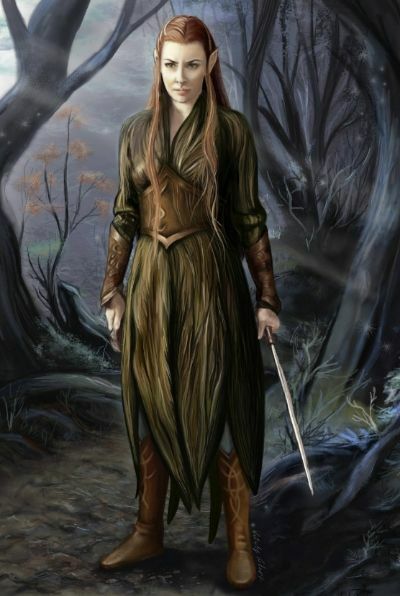 Taking her bow in The Desolation Of Smaug, Tauriel is a fighter who makes a mess with finesse. “To play this character I need to have a certain amount of grace,” said Lilly. “But I’m also supposed to be an absolutely ruthless, deadly killer." I really liked her on Lost, so am looking forward to her popping up in the next two Hobbit sequels. She looks pretty good for 600 years old. It's hard to believe she and Joan Rivers are almost the same age. 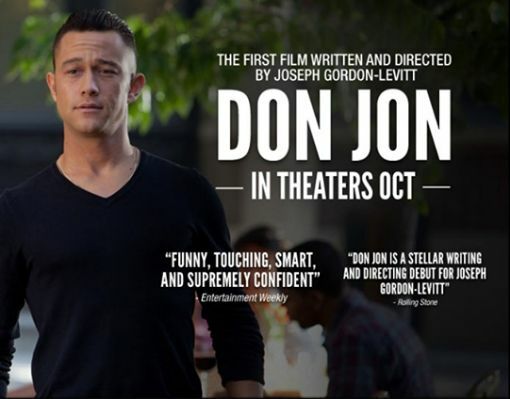 Joseph Gordon-Levitt has written/directed a new movie that is coming out soon and early the buzz on it has been really good. It looks like Joseph might have spent just a "little" time in the gym as well since his 3rd Rock From The Sun days. The trailer looks very entertaining, in a My Cousin Vinny-esque way. Plus, when was the last time Tony Danza was in a movie? He's aged pretty well since his early days driving a Taxi. I wonder if the readers of Teen Beat would agree? I didn't think they could creep me out more than they already do. 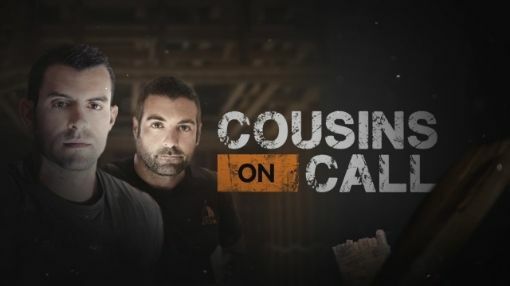 I've recently discovered the new HGTV show Cousins on Call and really enjoy it. It's like a sincere half-hour version of Extreme Home Makeover, but without Ty Pennington tweaking around with his bullhorn for an hour. These guys are really great and the one, Anthony Carrino, looks/acts just like ER-days George Clooney. If you'd like to find out more about Cousins on Call, click here. 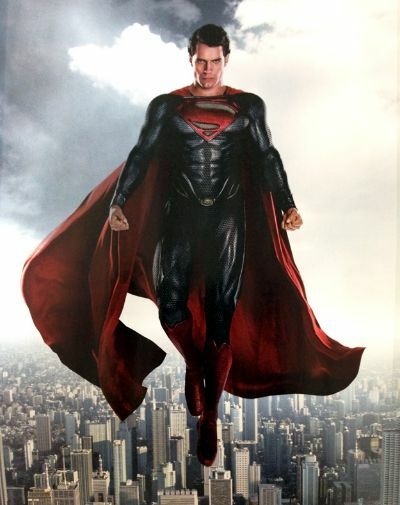 A new Man of Steel trailer was released today. This one definitely focuses a lot more on some of the action in the film. I'm trying to keep my expectations low, but these trailers have gotten progressively more awesome with each release. Of course, so did the trailers for Star Trek Into Darkness and that didn't turn out as well as I would have liked. 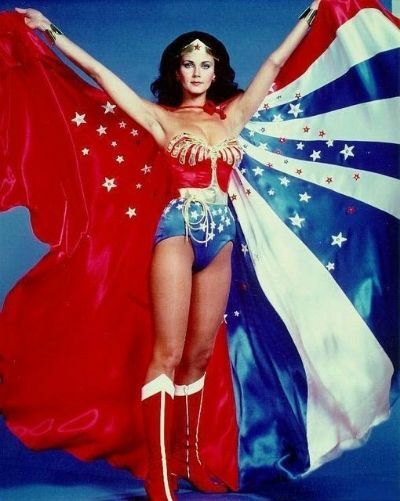 Here's hoping Man of Steel delivers. This past weekend was Saturday Night Live regular Bill Hader's final appearance on the show. I'm really sorry to see him go because he was always one of the funniest cast members each week. 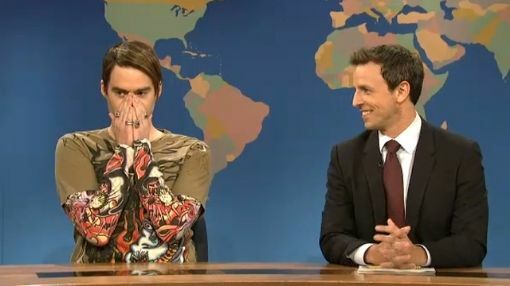 Thankfully, they decided to do one last Stefon sketch which, as always, was hilarious and the perfect way to wrap up his character's obsession with Seth Myers. I loved that character and watching Bill try not to laugh while he described the various unusual events going on around the city was always a riot. I hope that he and Seth will be very happy together. 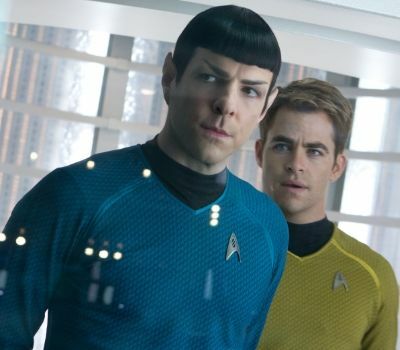 Spock's expression kind of sums up how I felt after I got done watching Star Trek Into Darkness last night. Perplexed. Conflicted. Excited. Disappointed. Bueller. As most of you know, I loved the 2009 movie. So, I think I went into this one with my expectations a bit too high for the sequel to realistically satisfy, no matter how hard it tried. I feel like the 2009 movie was great and "Into Darkness" is...good. It's like how I felt after seeing "Search for Spock" after the previous awesomeness that was "Wrath of Kahn". Into Darkness has great action, visuals, and the characters are still developing nicely into real emotional people you can relate to, which is nice. However, this film doesn't "grab you" like the previous one and, because of some of the questionable story choices, you just aren't as engrossed or surprised by what happens as the film wraps up. 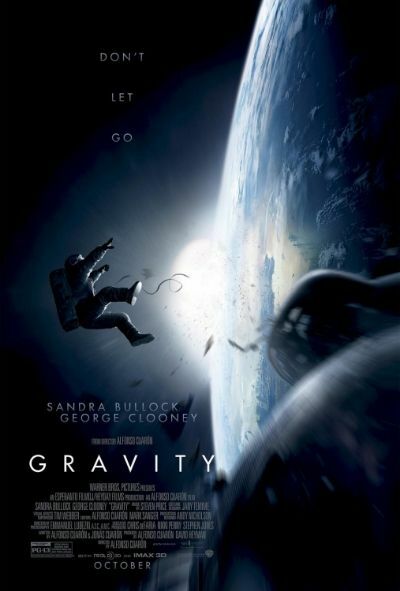 So...if you loved or even liked the 2009 movie, you will likely enjoy this one too. If you're a die-hard Star Trek fan with mixed feelings about the 2009 movie, you'll likely not be satisfied with this one. If you hated the 2009 movie, you will likely hate this one too. Honestly, I think that the people who will enjoy it the most are the people who really never watched or cared about Star Trek at all. 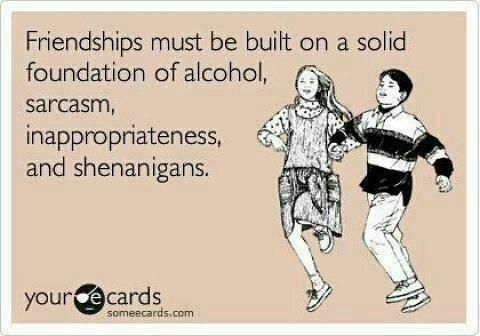 They have no preconceived notions or expectations. 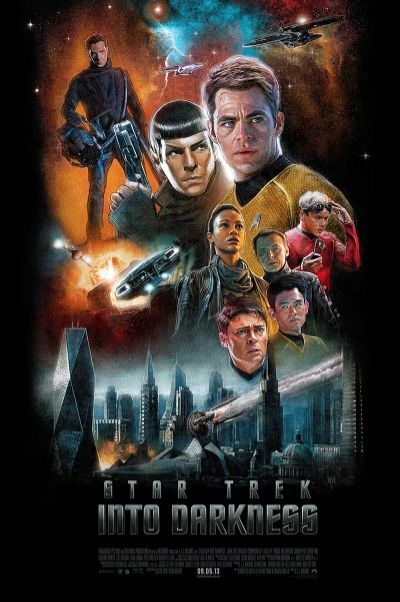 That being said, other than my feeling that they tried too hard to integrate familiar Star Trek references/storylines into this movie, it is still a really fun action movie with some great performances and "she can't take much more, Captain!" fun. So...if you're going to go see it (and I recommend that you do), keep your expectations in check, get some popcorn, a giant beverage, and just relax and have a good time. I love that movie, but both of those videos made me laugh a lot. Star Trek Into Darkness finally opens today! I am seeing it tonight, so I'll try to post my review tomorrow. 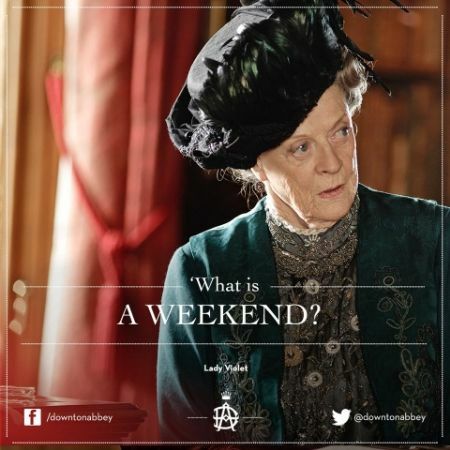 The new season of Downton Abbey will premiere here in the U.S. on Sunday January 5th. The upcoming season will see the return of series regulars Hugh Bonneville, Elizabeth McGovern, Maggie Smith, Michelle Dockery, Jim Carter, Joanne Froggatt, Brendan Coyle and more. They will be joined by guest stars Shirley MacLaine, Tom Cullen, Nigel Harman, Dame Harriet Walter, Joanna David, Julian Ovenden, Dame Kiri Te Kanawa and Gary Carr. I hate that we can't watch it until after it airs in the U.K first (they get to see it in the fall), but I'll wait. Also, there was a brief public panic when it was announced that Sean "Diddy" Combs was joining the cast of the new season of Downton Abbey. Thankfully, it just turned out to be an entertaining FunnyOrDie video. 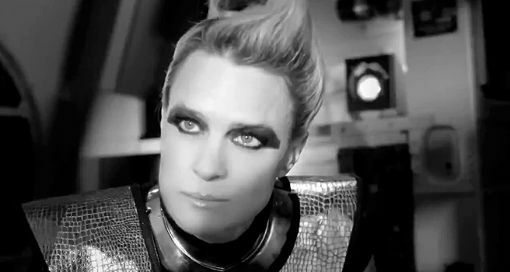 There were a couple of interesting new trailers posted today that involve time (past/present/future) that I thought were worth featuring. 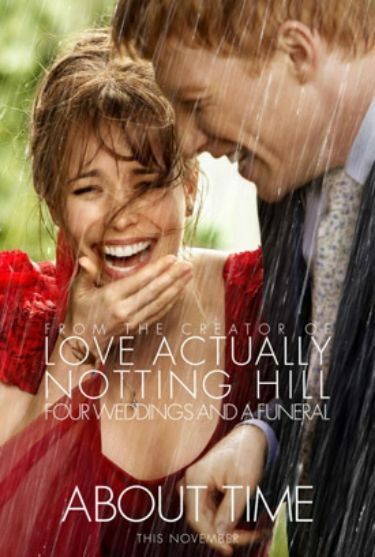 The first is About Time, from the director of Love, Actually (one of my favorite movies). Looks like it could be a fun romantic comedy. something that Rachel McAdams seems to have specialized in over the past few years. 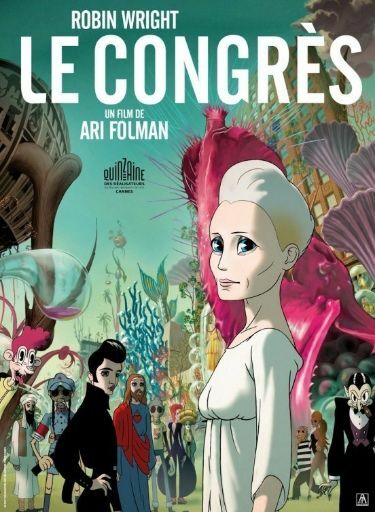 Then, there is a live-action/animated movie called The Congress where Robin Wright plays an actress named, ironically, Robin Wright who gives up her virtual identity...forever. I don't really have any idea what this movie is about...even after watching the trailer. 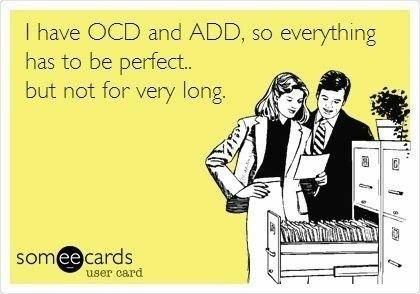 Might have to add it to the ever-growing OnDemand queue that is my life. 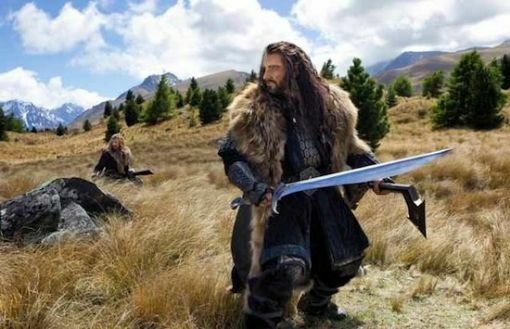 Peter Jackson released a new behind-the-scenes video this week that is focused on some of the locations they used during the filming of the Hobbit movies (to go along with the recent Part 1 DVD release). 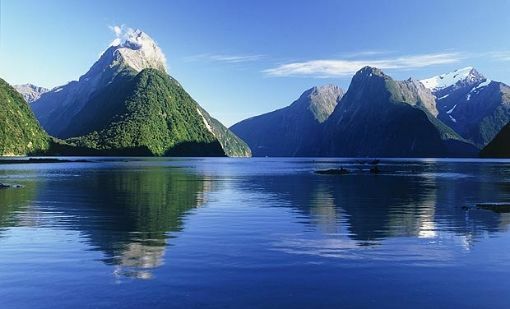 New Zealand really is that beautiful...I highly recommend that you visit if you ever get the opportunity. Well, let's just say there'd be no "dry" in my dock. The movie opens on October 18th. 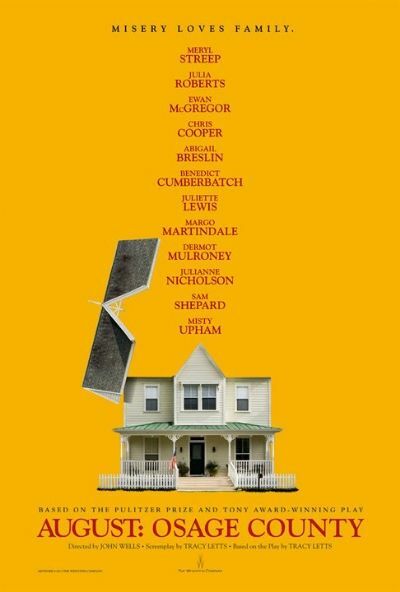 Speaking of George Clooney, he produced this star-studded movie (based on the Pulitzer Prize-winning play) and it looks like it's gonna be a lot of fun. Was that Meryl and Julia throwin' down there towards the end of the trailer?! Get ready to RUMBLE on November 8th! Here's a European Guinness beer commercial from 1995 that, at the time, was deemed too controversial to air (but was uploaded to YouTube anyway). Other than the outdated VHS tapes featured, this commercial could probably air now and be fine. Except here in the United States, because it depicts a man...driving on the wrong side of the road. The movie's story is inspired by Wil Haygood’s Washington Post article about a black man who served as White House butler to eight presidents over three decades. Winfrey plays the wife of Whitaker's character, the title role of butler Cecil Gaines. 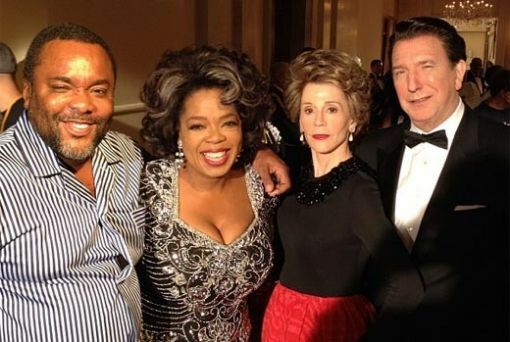 The all-star cast also includes Alan Rickman as Ronald Reagan, Jane Fonda as Nancy Reagan, John Cusack as Richard Nixon, James Marsden as John F. Kennedy, Minka Kelly as Jackie Kennedy, Liev Schreiber as Lyndon B. Johnson, Robin Williams as Dwight Eisenhower, Melissa Leo as Mamie Eisenhower, Orlando Eric Street as Barack Obama and Nelsan Ellis as Martin Luther King Jr. Cuba Gooding Jr., Terrence Howard, Lenny Kravitz, David Oyelowo, Vanessa Redgrave and Alex Pettyfer also are among the ensemble. It's got a pretty amazing cast and the director of Precious, so odds are there will be a lot of Oscar buzz about this way before it actually comes out on October 18th. If Oprah gets nominated, will she have to interview herself during her annual Oprah Winfrey Oscar Special? If anyone knows how to interview Oprah...it's Oprah. 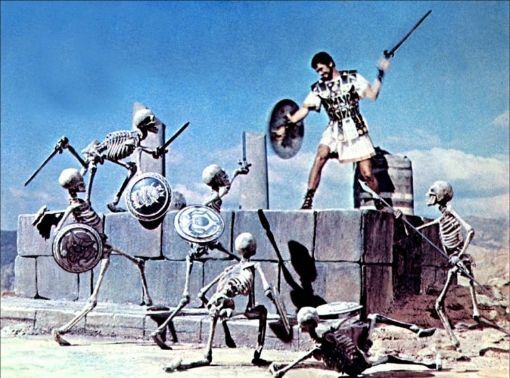 Ray Harryhausen, the stop-motion animation legend whose work on "The Beast From 20,000 Fathoms," "Jason and the Argonauts" and other science fiction and fantasy film classics made him a cult figure who inspired later generations of filmmakers and special-effects artists, has died. He was 92. 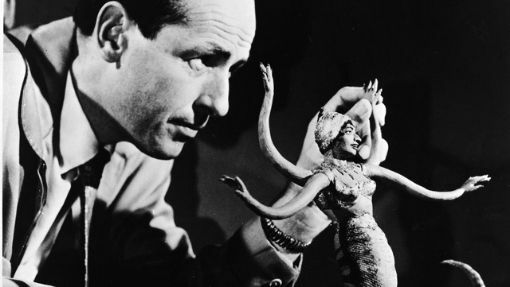 In the pre-computer-generated-imagery era in which he worked, Harryhausen used the painstaking process of making slight adjustments to the position of his three-dimensional, ball-and-socket-jointed scale models and then shooting them frame-by-frame to create the illusion of movement. Footage of his exotic beasts and creatures was later often combined with live action. The fantasy world of Ray Harryhausen inspired Steven Spielberg, George Lucas, James Cameron and many other filmmakers, some of whom have paid cinematic homage to the special-effects maestro. As a kid, I always loved his movies and never missed a new one when they came out in the small theater near my town. He definitely transformed the way special effects were developed over many decades. His creatures, at the time, definitely were memorable...especially this one from the original Clash of the Titans (with a very young Harry Hamlin). She definitely needs something for that dry fly-away hair. He will be missed, but not forgotten. The first trailer for Girl Most Likely, starring the always entertaining Kristen Wiig and Annette Bening was released today and it looks like it could be a hoot. It looks pretty funny and has a good cast, including Matt Dillon and Glee's Darren Criss. Darren's eyes seem especially dark in this image. Maybe he was born with it.